It was a basket case, totally although it was running, everything was painted flat black including the motor. A lot of hand polishing later and here it is. nice job on the build……….it sounds like pretty soon you aussie’s will have to get a permit to put a shrimp on the barbie!!!!!! and removing the front fender. 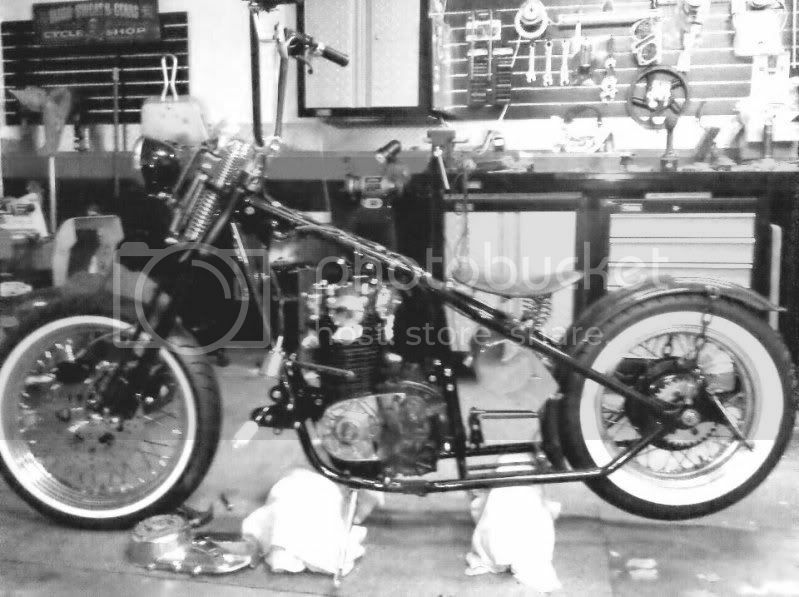 Phil, Your Bobber is coming along well, being in Sydney I sympathise with you. Get it legal then do your own thing, it seems everyone else does, look at Deus eXMachinafor example, they sell those things form a show room and wouldn’t comply with any of our ADR’s! and they sell them for $15k+ If you can’t please em, stuff em. this bike ROCKS !! 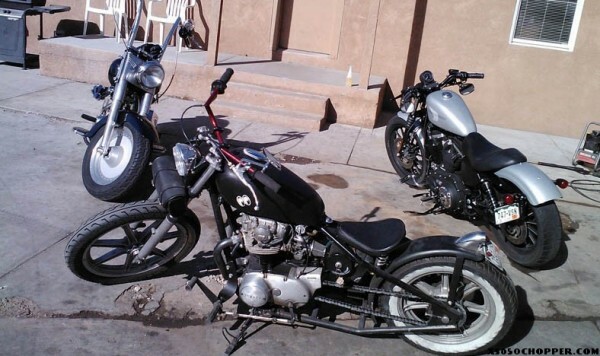 I’ve seen many a cool bike on this site and a small few have really grabbed my attention…..this one definately did just that…..excellent job…..well done Phil……rock on !!! most of the day to stencil and shade but I liked them and am leaving things like that. In that bottom pic, looks like you already got a back fender… hee hee!! I also see you have dual discs up front. Is that stock? G,day Phil.. Im also in QLD, Gold Coast Im building a bratted 79 special full ground up rebuild almost got all my bits collected up to begin, just gotta get the crank built and a couple other little bits and pieces then commence the assembly.. Would be Really interested in having a chat about the bikes and QLD transport madness lol Hit me on my email addy mstreyes1 @ hotmail dot com… great work mate btw! Hey Robbo, are you still building the 70 special ?? ?